Photo of tour by Tad Sooter. There was just something about Fourth Street’s economic divide that cried out for more than a story. 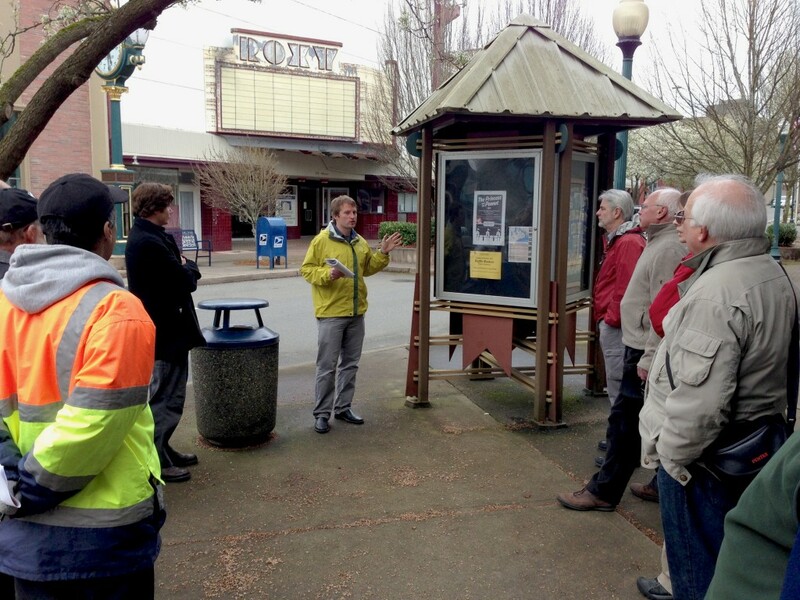 And so, on Tuesday night — following Sunday’s publication of “In Bremerton, a tale of two Fourth streets,” I hosted a talk and tour of the downtown Bremerton thoroughfare. 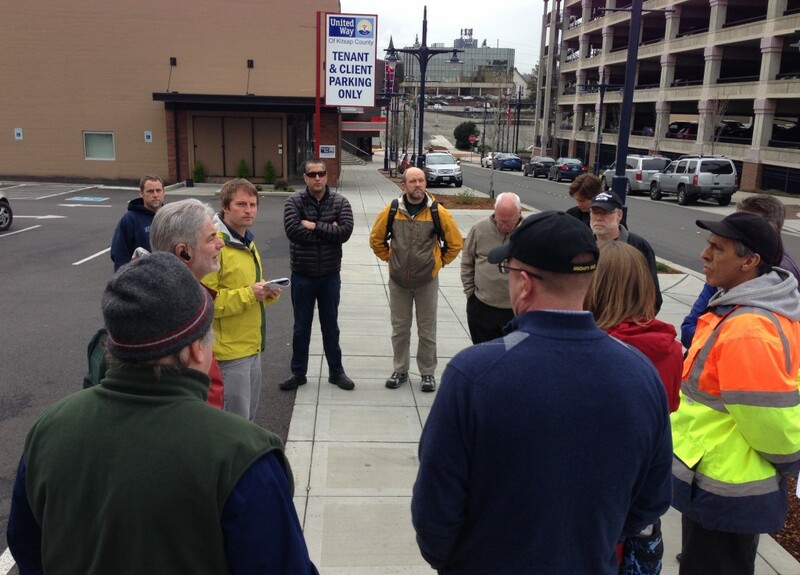 We had a nice turnout, with 15 people coming along to learn about the successes of the western half of the street, and failures of the eastern half. Some participants knew a lot — I’d even quoted them in the story — while others came along to expand their knowledge. In any event, I really enjoyed going beyond the story to help others experience Fourth Street for themselves. Response thus far has been good from the tour, and I am planning to do one similar event each month for the rest of the year. Won’t you come along next time? In the comments section of your article, mention was made of an organization to rescue the Roxy. The website ‘rosyrescue.org’ is well done and solicits funds to help it become a 501(c)3 organization. I think, Josh, you should write an article about this organization. I am planning on it, Richard. Thanks for bringing this up.